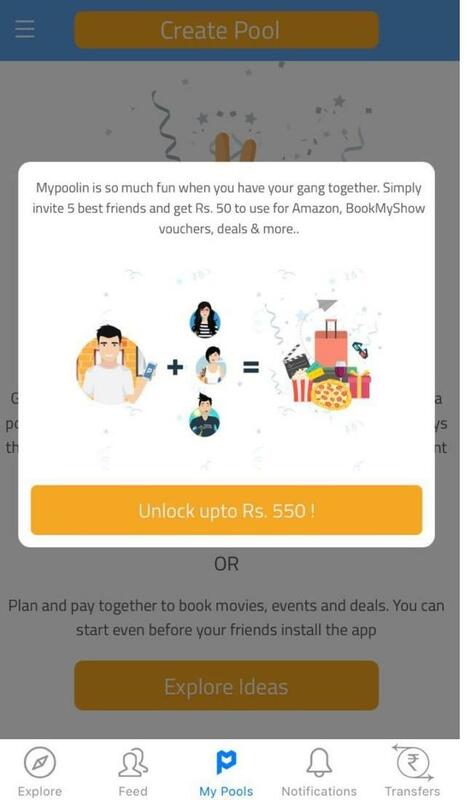 MyPoolin as a non-banking UPI app is rooted on the concept of solving the security issues related to online payments as well as other sorts of payments with a focus on social media and acknowledgment. The idea is to solve the uncomfortable issue of paying for a social event where people feel jittery to request a friend or a relative to pay up the pending amount he/she owes to. 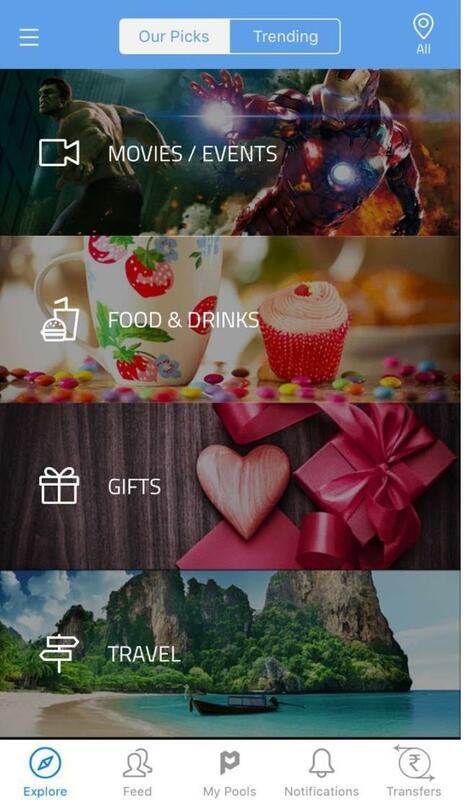 With the help of the brilliant Split Payment method so well integrated with the social media apps and the "You Owe Me" reminder feature, planning any event like movies, trips, food, pizza, parties etc can just be done in minutes by straight away pooling money from all participants. What more? Once you are done with the collection, the total money can be redeemed either through a direct bank transfer or through several E-commerce vouchers. Split Payment: Now it is all easy to pool an amount of money from the members of a group to initiate and chalk out an event. Whether it is a bill in a restaurant, or raising a fund for a social cause, MyPoolin would serve all the purpose saving your time. Automatic Reminder: This is a wonderful feature that works as a reminder whenever a member owes money to for pay his/her share for a particular event. The automatic "You Owe Me" reminder will reach the member through a notification till the payment gets through. Plan & Pay: The in-app chatting facility helps organizing an event in the app itself well in advance so that the event can get started without any dilly-dally. Toggle option: One can keep changing their status through the toggle feature between Confirming or Declining a plan as per one's will. MyPoolin has joined hands with all major online wallets like Paytm, MobiKwik PayPal, Payu, etc. Using MyPoolin is all a matter of child's play. Yes, it's that simple. Jumpstart with Inviting friends in a group and start planning an event right away. Decide for a total amount of budget, agree upon the individual share and start the pool. Once all the members of the group pay their share, the collected money can be transferred to any bank account. MyPolin has addressed a few major aspects of financial transaction which is the topmost appreciable quality of the app. It has worked on financial security, its social aspect and dealt well with the untold "run and chase" aspect of it. The App is technically well integrated with other online wallets that ease out the process of transferring money from one to the other. It has got the Redeem feature in modes of transferring money to bank account as well as e-commerce vouchers which comes handy in any online purchase. The interface is jovial and responsive and doesn't take any extra time to process the payments. So far I have tried it a lot but couldn't find any noticeable drawback so far. But it could be said, that for further improvement it can include features like withdrawal of money to one's bank account and the like. MyPoolin has proved itself being a great solution to the payment related matters that people used to face off and on. Apart from securing the entire online financial transactions, it has helped out in organizing events at any point of time. The "You Owe Me" reminder is an innovative way of solving the eternal problem of financial "run and chase" game. To take it ahead the app may upgrade itself to many more innovative ideas which is yet to come in the route of e-commerce sites.